Barbara Lynn is an American R&B singer, songwriter and guitarist. In 1967 Barbara Lynn was signed to Atlantic Records, the label no doubt hoping for a repeat of her big 1962 hit "You'll Lose A Good Thing". It didn't quite happen, though they did manage to get a couple of modest R&B chart entries out of her, the first being "This Is The Thanks I Get", which charted at #39. A full album followed, showcasing her distinctive soul / R&B sound at its very best, and including a new version of "You'll Lose A Good Thing". She kept recording for Atlantic into 1968 (including some sessions at Fame Studios in Muscle Shoals, produced by Spooner Oldham), and some more singles were released (which unfortunately did not chart), but then it appears she didn't record at all for the next few years. Atlantic got one more hit out of her though, as "(Until Then) I'll Suffer", originally from the 1968 album, became a surprise R&B chart entry at #31 in 1971. A few more singles came out in '72 and '73, the last few of which were new recordings, and then her contract with Atlantic was up. Around this time she apparently got married and started a family, which might account for her lack of recording activity. After her Atlantic years she returned to touring the Southern States, and did release a few singles on a variety of small labels throughout the decade. 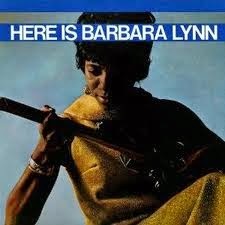 Featured here with the original album Here Is Barbara Lynn is a generous helping of bonus tracks, including all the Atlantic singles and most of the b-sides not on the album itself. Thanks for the Barbara Lynn albums.Very much appreciated.